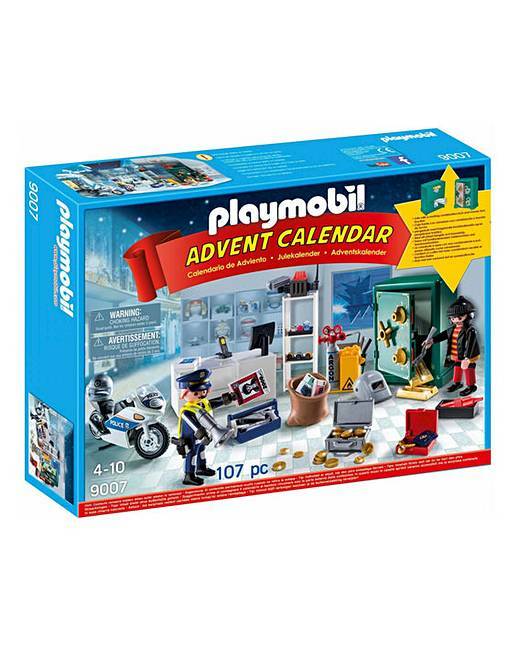 Playmobil Jewel Thief Advent Calendar is rated 5.0 out of 5 by 2. 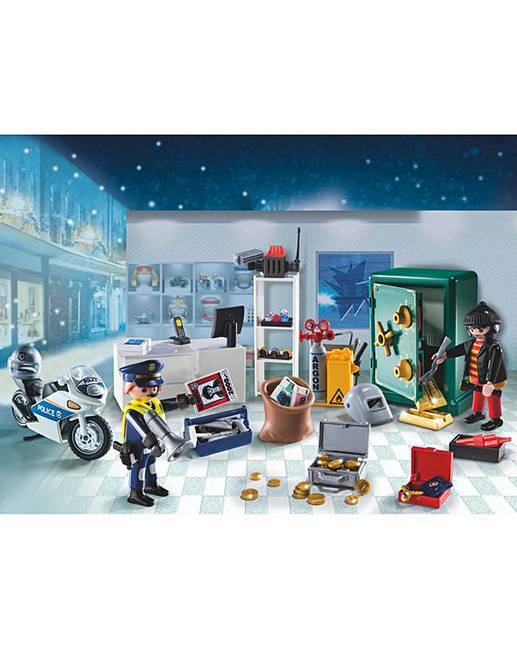 The Playmobil Jewel Thief Police Operation Advent Calendar is an exciting way to countdown to Christmas. The sneaky criminal has broken into the shop using his array of tools to crack the usable safe. It is up to the Motorcycle Police officer to foil his dastardly plan. 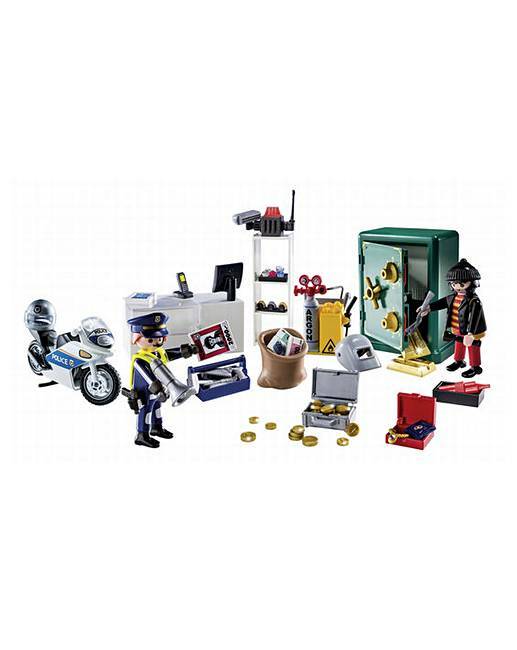 Includes two Playmobil figures, diorama and lots of accessories. Each window has a surprise to build your Playmobil scene. Rated 5 out of 5 by IanF from Great gift for my grandson My wife picked this advent calendar for our grandson. He was thrilled with it and really enjoyed opening the doors. Rated 5 out of 5 by SEGH from Lots of variety Got two of these for our boys. They love them. Got loads of good pieces so far. Comes with scene setter too.